One of the most enjoyable experiences of recent sunny trips across Europe has been ice cream, gelato to the locals in Italy and Croatia. It feels more of a luxury compared to grabbing a Mr Whippy or Cornetto if the sun even does shine here. The culture, the weather, has not traditionally offered us the same experience as our Mediterranean neighbours, but no more. 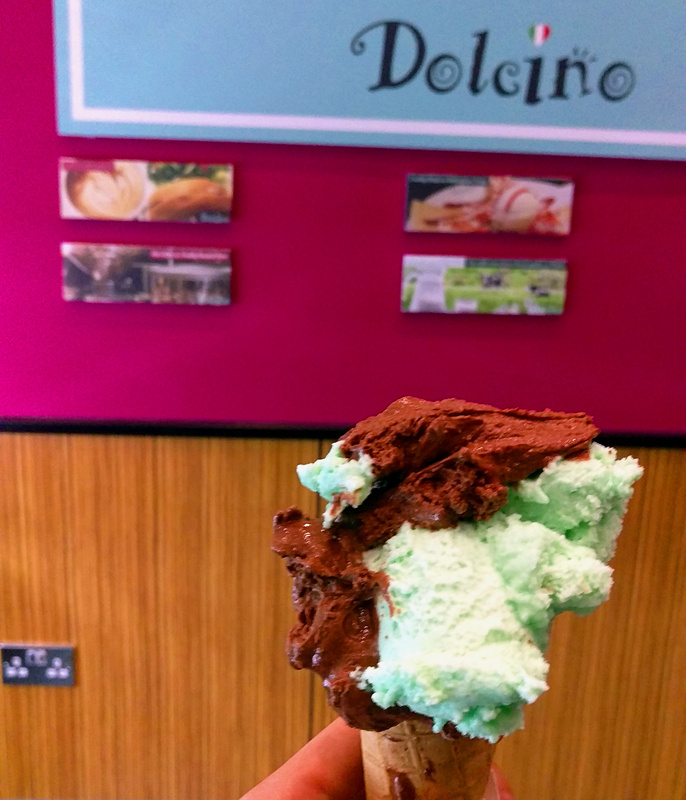 Dolcino is a gelateria whose first expansion from their original Loughborough outlet is into a market square location near Greggs and The Bank. The family run establishment has more competition than when it set out these plans after Kaspas, Heavenly Desserts and most recently Creams have opened in the city. It competes on all fronts with waffles, sundaes and cakes on offer. Despite the choice, I was here for one thing and one thing only, Gelato. The prominent counter displays multicoloured riches and for £2.40 two scoops were mine. I say scoops, here they followed the more traditional style of roughly troweling it on rather than deliver you neat spheres. I went classic. Dark chocolate (sorbet) and mint. The flavours were bang on, I might have liked a tad more strength to the mint but a minor quibble. 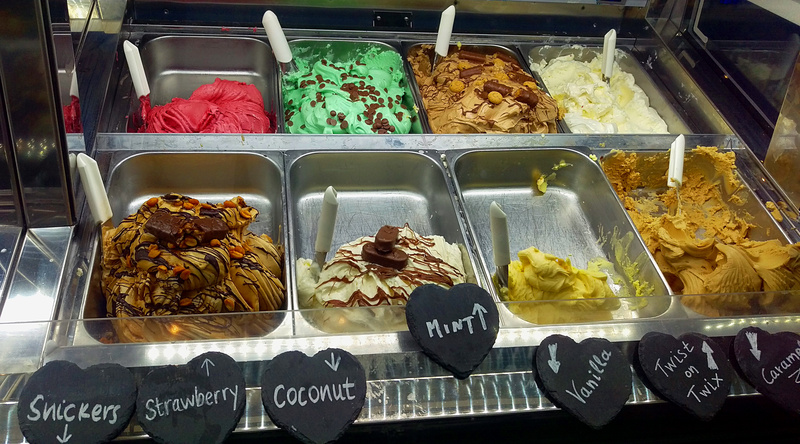 There are plenty of flavours to get through, at least 3 sections of the above counter and I imagine I’ll be trying a far number of those myself this summer. That said it is ten degrees as I write so I might give it a few weeks before I go back.